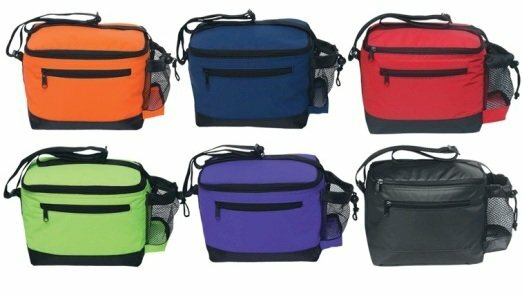 Yellow, Royal Blue, Orange, Navy, Red, Lime, Purple, Black all with Black Trim. 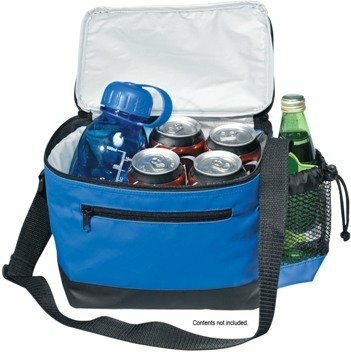 You may assort the colors in cartons of 50 coolers maintaining the same logo color throughout the order. 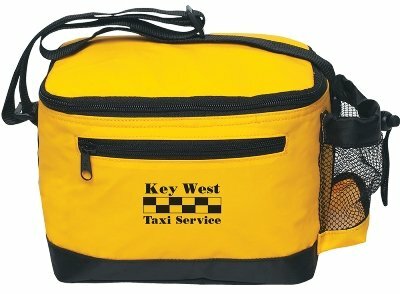 We recommend White imprint on most assorted promotional items coolers for best logo contrast.